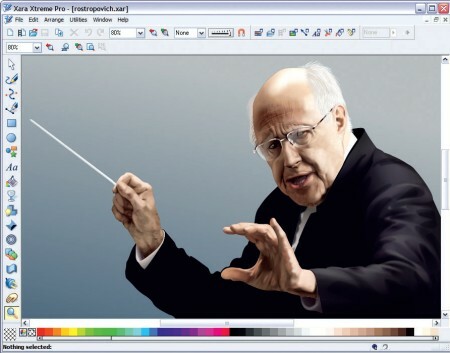 Xara Xtreme is quite simply the world’s fastest graphics software, with truly flexible illustration tools and revolutionary photo handling. A single application for all types of creative work, whether it’s vector drawings, DTP, photo composition, Website design or Flash animation. 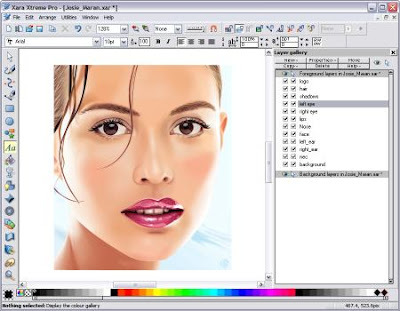 If you’re looking for drawing software then Xtreme is a perfect solution for everything from simple logos to astonishingly detailed illustrations. If you’re working with photos then Xtreme will match your ambitions from simple one click auto-enhance of your photo through to awesome photo compositions. If you are looking for software for creating web graphics then Xtreme can help you produce all the graphics you’ll need for your site, from smart buttons to eye catching Flash animations and even complete HTML web pages. 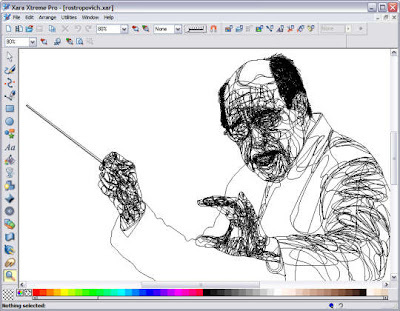 Producing vector illustrations is quick and easy using the comprehensive drawing tools, but many of the advanced features which Xara pioneered — such as transparency and real-time anti-aliasing — can be applied to both vector and bitmap images. 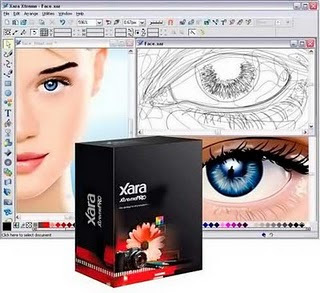 Rather than falling into the bloatware trap that is common with graphics products, Xara has concentrated on creating the world’s best implementation of the essential toolset that designers really need, in order to ensure that working with Xara X can be both highly creative and very productive. As well as all the drawing tools you would expect, Xara X offers options such as automated shadows, bevels and contours, pressure sensitive brush stroking, multi-stage graduated fills and feathering. Hi! I've been following your blog for a while now and finally got the bravery to go ahead and give you a shout out from Lubbock Tx! Just wanted to tell you keep up the good job! For most recent information you have to pay a quick visit internet and on internet I found this website as a best web site for most up-to-date updates. internet I found this website as a best web site for most up-to-date updates.